Home » Web filtering » Advertising protection: AdsBlocker service a Adblock Plus in proxy mode. 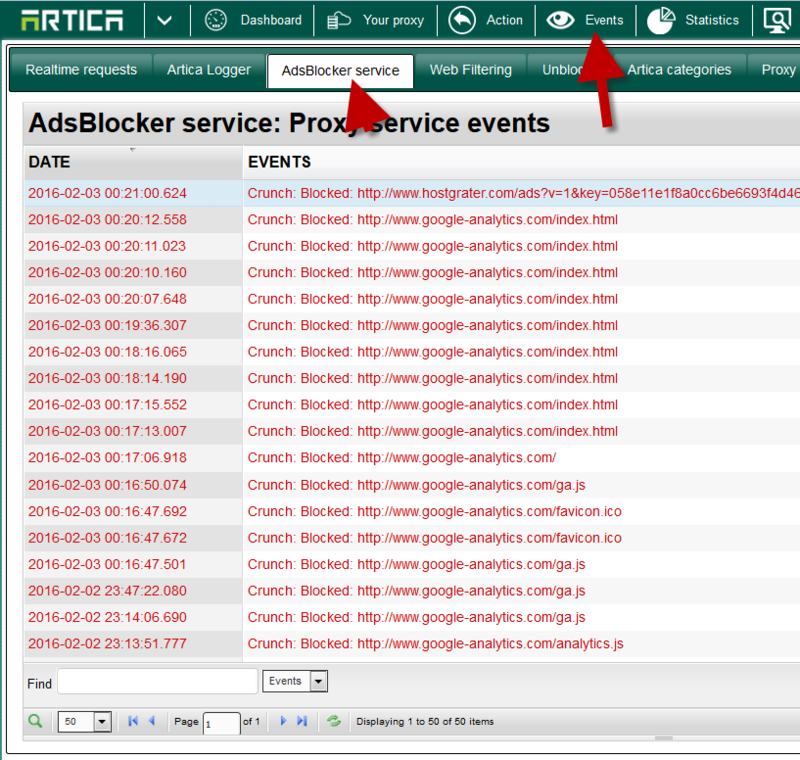 The AdsBlocker service is a new feature born with Artica version 2.35x or above. This advanced service has filtering capabilities for enhancing privacy, modifying web page data and HTTP headers, controlling access, and removing ads and other obnoxious Internet junk. It downloads and use rules provided by the famous Adblock Plus software. With this feature you can centralize advertising protection trough the proxy instead installing a browser plugin. 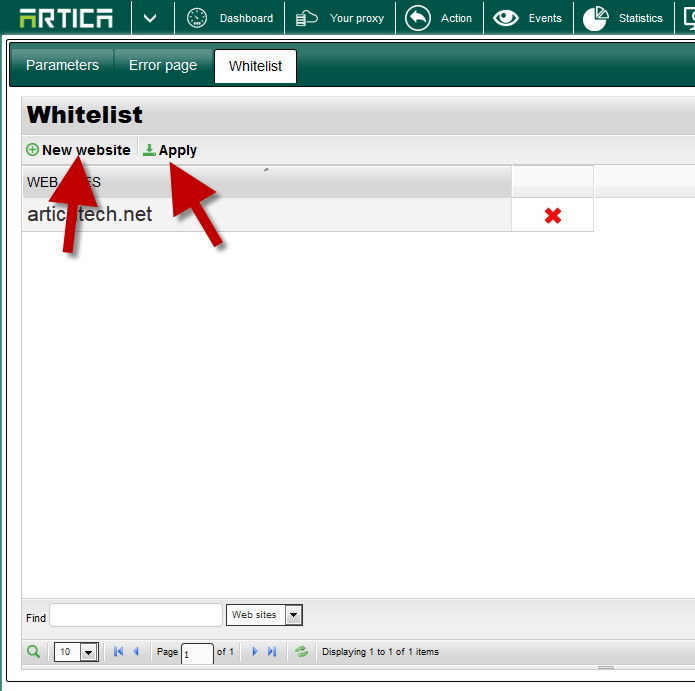 Limitation: When enabling this feature, you lost the possibility to connect Artica to a parent proxy server. 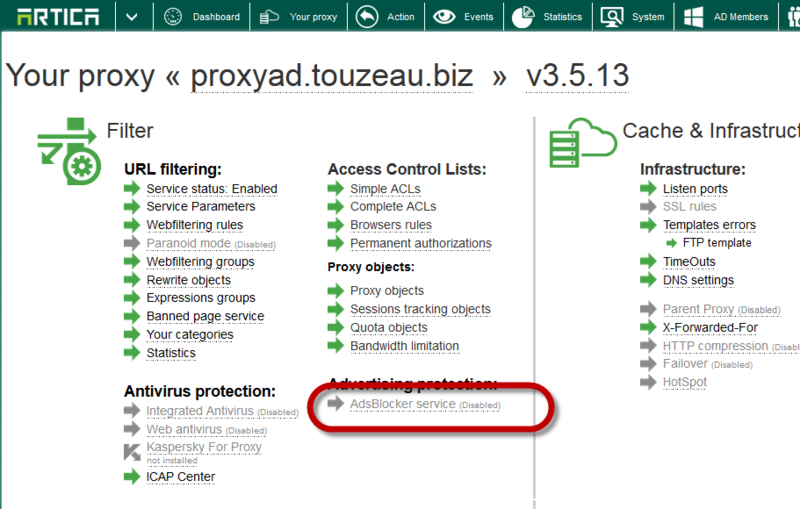 On “Your Proxy” section choose the AdsBlocker service. If the link specifiy ( not installed ), upgrade the proxy version to the latest. The service is included inside. 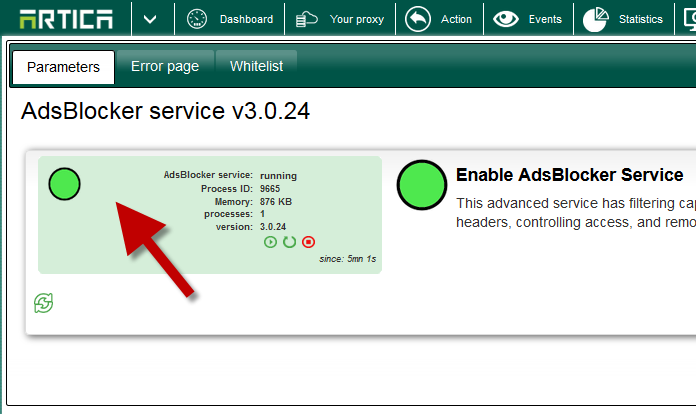 Turn on the “Enable AdsBlocker Service” and click on Apply. 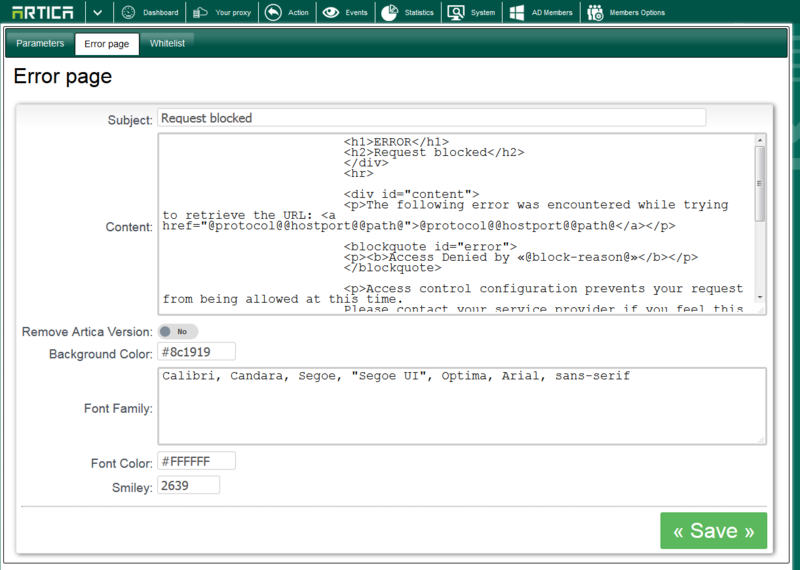 When a tracker or an advertising is blocked, the service will generate an error page. The whitelist section allows you to add domains that will force the proxy to bypass entirely the AdsBlocker service. The whitelist method by the “Action” button will create a dedicated pattern for the AdsBlocker server to not check the domain. Choose the AdsBlocker service tab. You will see all trackers and ads blocked by the service. ← White-list websites trough the Action menu.